Ohio University holds as its central purpose the intellectual and personal development of its students. 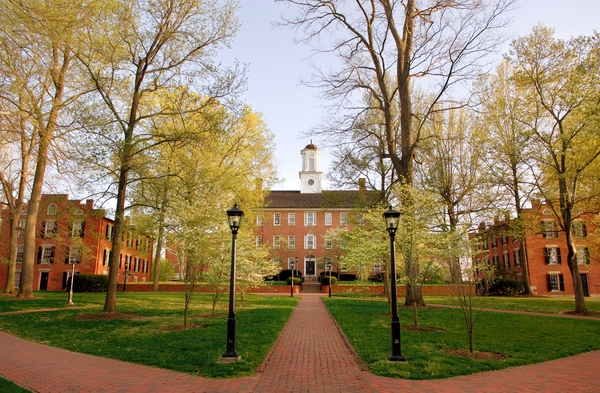 Distinguished by its rich history, diverse campus, international community, and beautiful Appalachian setting, Ohio University is known as well for its outstanding faculty of accomplished teachers whose research and creative activity advance knowledge across many disciplines. Ohio University offers undergraduate instruction on both the Athens campus and the regional campuses. Undergraduate programs, designed to contribute to intellectual and personal development and career goals of students, emphasize liberal studies. Undergraduate major programs, preprofessional, and professional programs prepare students for employment in a variety of careers and for continued study. Two-year technical and associate’s degree programs, reflecting employment opportunities, as well as the general career interests of students, are taught primarily at the regional campuses. At the Athens campus, instruction is combined with residence life and other extracurricular programs in an effort to create a collegiate experience integrating learning and living. Ohio University recognizes academic advising to be a central element of the educational experience of its undergraduate students. Advising is a collaborative relationship for which advisors and students share responsibility and through which students create sound educational plans consistent with their academic, career, and personal goals. Advisors are responsible for being accessible and responsive to students, and for providing accurate, timely information. Students are responsible for being prepared for advising sessions, and for understanding University and major requirements. Ohio University believes that first-year students should be presented with a common set of curricular and cocurricular learning opportunities that introduce them to the intellectual skills, ethical norms, and civic values that will prepare them to succeed as scholars and citizens of the university community. Ohio University is committed to promoting academic, social, and personal engagement in that community and to ensuring continual improvement in the quality of the first-year experience through systematic assessment of student learning and involvement, academic practices and policies, and the availability and efficacy of support services. Ohio University offers graduate and professional education. The primary forms of activity are advanced and specialized courses of study, supervised practical experience, and research. The essential concentration of faculty, material, and space resources dictates that the activity associated with graduate and professional education will be centered on the Athens campus. This activity is not limited to that campus; research and instruction are carried out at various locations. Ohio University is a center for scholarship, research, and creative activity involving the creation, testing, and dissemination of knowledge, understanding, expressions, and technique. As a public university, Ohio University has a particular responsibility to address societal issues and needs through such scholarship, research, and creative activity. The scholarly and artistic activity of the faculty enhances the teaching function at all levels of the student experience. Ohio University serves an extended community. The public service mission of the University, expressed in such activities as public broadcasting and continuing education programs, reflects the responsibility of the University to serve the ongoing educational needs of the region. The regional campuses perform a critical role in serving this extended community. The University has state-wide responsibility for an extended university program using independent study through correspondence. It is the purpose of these extended University programs to serve a diverse range of educational needs, from professional groups requiring continuing courses of study related to the practice of their professions, to individuals desiring occasional or special interest study. Ohio University contributes to cultural and economic development, health care, and to other human services. Adopted January 15, 1977, and reaffirmed January 1988. Academic advising statement added March 2005. Mission statement replaced June 2007. Philosophy of the first year added July 2007.